The digital reading subscription service is adding articles from the New York Times, Wall Street Journal, The Guardian, and Financial Times to its mix of books, audiobooks, magazines, and documents. It’s also introducing platform enhancements, including a redesign and enhanced recommendation tools that feature the articles right next to its existing selection of content. 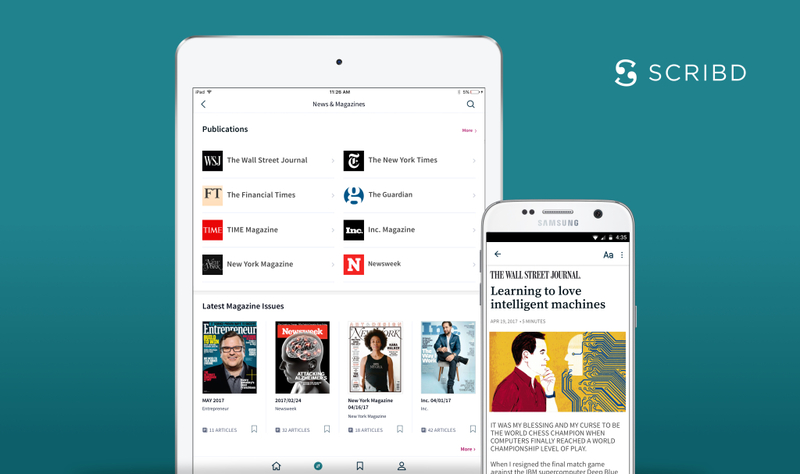 Last November, Scribd expanded into magazine content, featuring current and archived stories from Ad Age, Bloomberg Businessweek, Entrepreneur, ESPN The Magazine, Foreign Policy, Fortune, New York Magazine, People, Time, and more.